Interested in selling your home and want to move into a new home? Let one of our agents help you. Our expertise and skills combined with our resources, reputation, and access to the local and global real estate markets can offer you the powerful advantages you need to make a profitable real estate transaction. 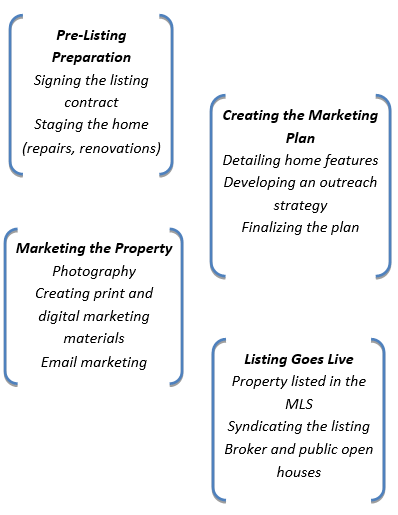 Using our proven marketing techniques, we can translate these powerful advantages into a comprehensive strategy that will help you achieve your objectives of selling a property. If you're interested in selling a residential or commercial property, we invite you to become a part of our large community of valued customers and experience our exceptional service and extraordinary results. PUT OUR REAL ESTATE MARKETING AND SALES SKILLS TO WORK FOR YOU. Strong Internet Presence – Real Estate Marketplace's strong internet presence and deep marketing expertise have always remained successful in attracting large number of qualified buyers. We syndicate your listing across the web to ensure that your listing receives the exposure and attention it deserves. Full-Service Capabilities – I understand that marketing is just one of the components of the entire real estate cycle. To assure a successful sale, I provide comprehensive real estate services so that you don't have to worry about negotiating with the buyers or preparing the contracts. Unwavering Commitment to Quality – When working with Real Estate Marketplace, you can have peace of mind knowing that you will be offered nothing less than the very best. I am committed to offer exceptional quality services to my customers and I am thankful for hundreds of past clients. With the use of technology and our deep real estate expertise, we make sure that the listing represents the essence of your home in the best possible way. To make sure that your stunning home is seen by every potential buyer in the community.